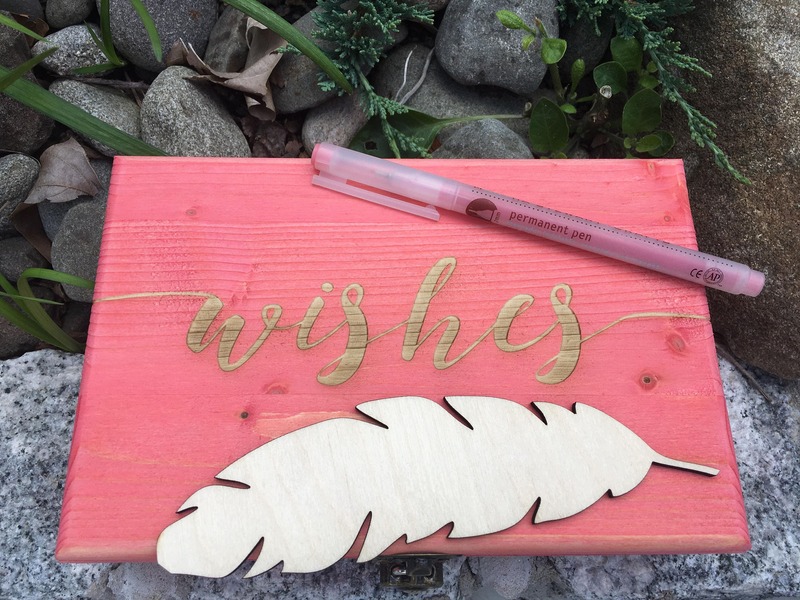 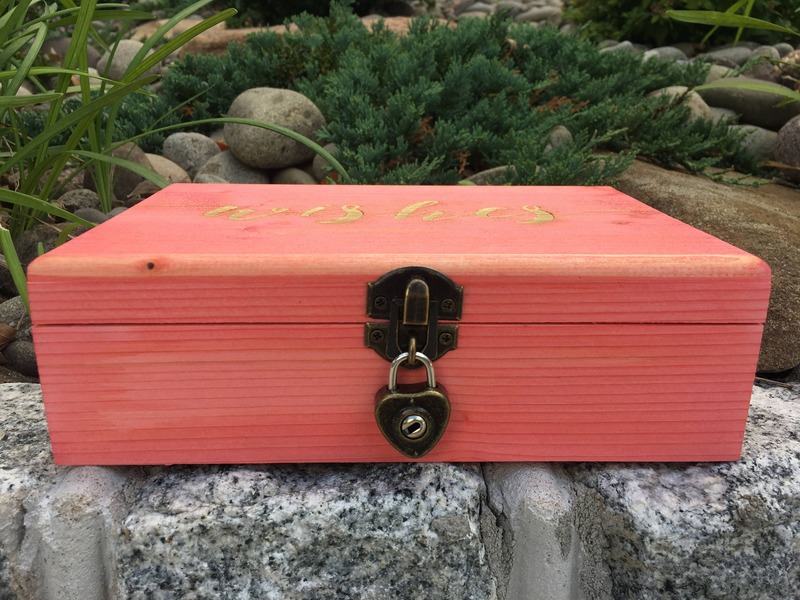 This beautiful, laser engraved, wooden wishes guest box will become a treasured keepsake. 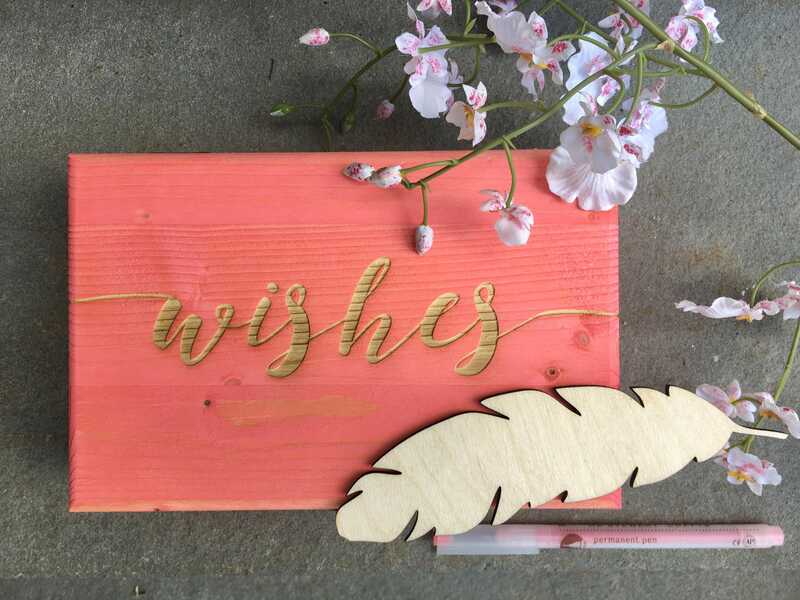 Perfect for weddings, bridal showers, baby showers, get well, anniversary parties, retirement parties and any special event! 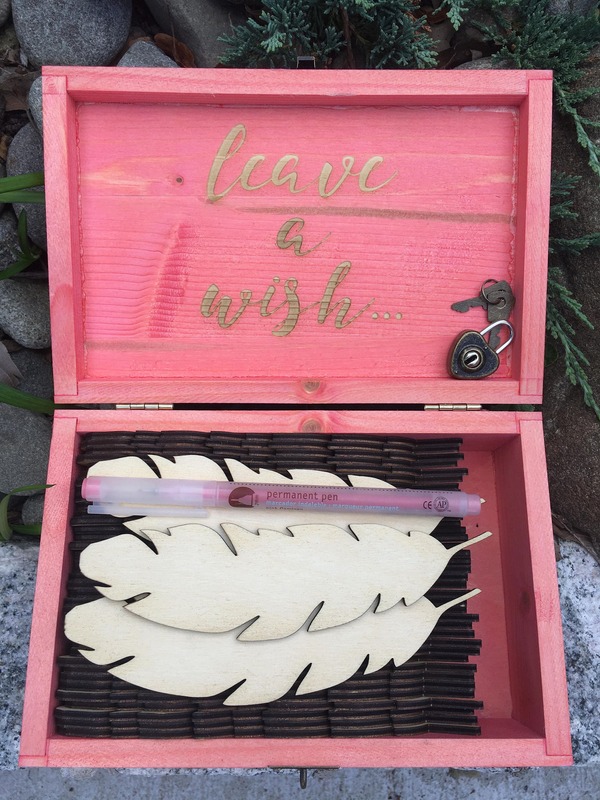 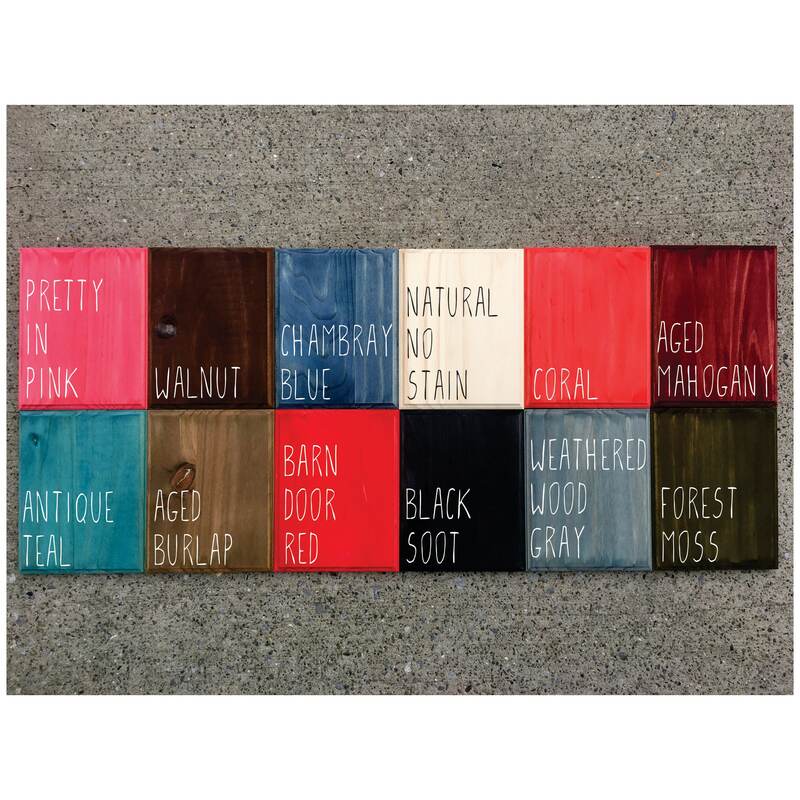 * Box dimensions: 8.25" x 5.625" x 2.5"
* Feather dimensions: 6.5" x 1.75" x 1/8"
* Stained by hand with care in the finish of your choice.